CrossFit SOTO is a 5,000 Sq. ft. premier Fitness coaching facility located in Ft. Thomas KY just off I-471 in Campbell County. We offer personalized training in a group setting, utilizing CrossFit methodology of constantly varied high intensity functional movement. Our Goal is to help you achieve your goals. Come give us a try! We have a FREE Saturday class that’s open to everyone, including those new to CrossFit and we offer a one-on-one Introductory class that can be arranged to fit your schedule. Fill out the form to the right to register for your FREE class! Let us know you’re coming! Fill out the form to the right to send an email telling us what class time you would like to drop in for, what CrossFit gym you are visiting from, and how long you’ve been doing CrossFit. At CrossFit SOTO we see CrossFit as an athletic strength and conditioning program designed to improve the fitness for every single individual. Crossfit is designed to assist athletes to be better at everything they do whether it’s running, biking, lifting or yard and house work! We prepare for the unknown and unknowable by incorporating a multitude of different activities into each workout. Each workout can be tailored for your individual goals, needs and fitness level. Kids develop lifelong habits at a very early age, and it is important to get them started on a fit and healthy lifestyle as soon as possible. Our CrossFit Kids program establishes a path to a lifetime of fitness through fun games and structured activities. Currently our CrossFit Kids program is intended for ages 5 to 9 years old (if your children don’t meet this current age range, please check back as we are always looking for opportunities to expand our current program). A CrossFit Kids-certified coach will take them through activities that involve basic movements such as pushing, pulling, running, jumping, squatting, throwing, etc. ; only safe movements that nature intended them to do. These are some of the same functional movements we develop in our adult group sessions, only the workout along with the intensity is scaled methodically according to their age and individual physical and mental capacity. So you’re ready to start? Congratulations! Welcome to the best decision you’ve ever made for your health and wellness! Whether you’re a beginner, a seasoned athlete or making a comeback towards a life of good health and wellness, CrossFit is for you and our Elements program is the perfect way to get started. We have all new athletes complete the Elements classes before starting with regular classes. CrossFit SOTO has changed the way Elements is offered! Our experience has taught us that providing a CrossFit beginner with one-on-one coaching produces higher quality and more individualized attention for our athletes. As a result, we are now offering an on-demand one-on-one Elements course! 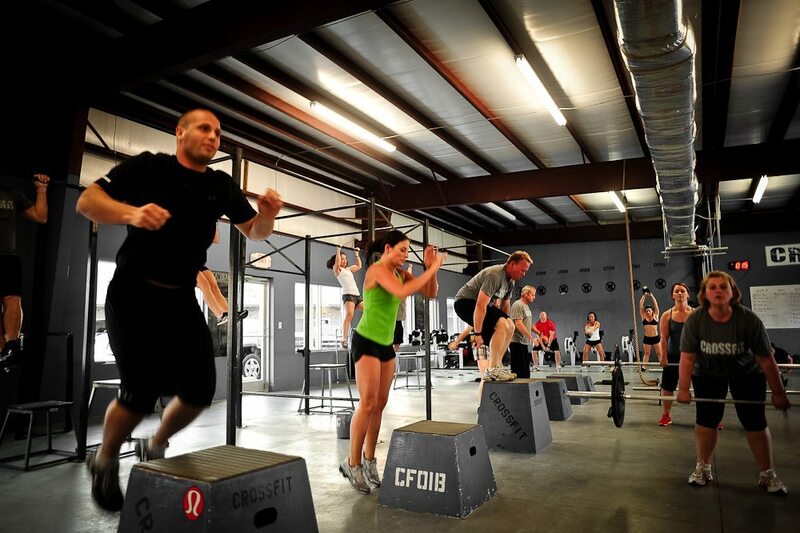 CrossFit SOTO’s Elements Course will be structured as a comprehensive five class course. These five classes may be scheduled with one of our coaches at times that are most convenient for you! Finally, an on-demand Elements Course designed around your life and schedule! Each Elements Class is $15, due at the start of each class. Once you have completed Elements you can enroll in one of the membership options. If you would like to start in our Elements course please email kim@crossfitsoto.com with the subject line “Elements.” From there a coach will promptly contact you to discuss and schedule your Elements course. We understand that some people have previous CrossFit experience. If you are a seasoned CrossFitter, please contact us for an assessment with one of our coaches. Based on your experience you could be expedited to a regular class. Elements Classes are designed to ensure each person has the knowledge to safely and successfully work toward your fitness goals within our CrossFit classes. 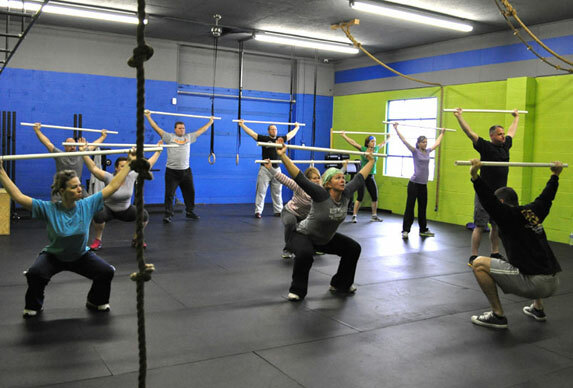 The Element Classes are taught by a certified CrossFit Coach. Each of the four classes is structured like a regular hour long class including a warm up, a skill or strength movement and finally a WOD (workout of the day) that incorporates the skills learned that day. It is the goal of our Elements classes to give you the knowledge and tools to become healthier and stronger and the confidence to join others with similar goals. CrossFit Endurance is an endurance sports training program dedicated to improving performance, fitness and endurance sports potential. We inspire, coach and provide our community with the most aggressive and proven fundamentals of sports science, exercise physiology, nutrition and athletic training protocols. We are the leaders in strength and conditioning for endurance athletes. We have been guiding athletes, educating coaches and providing premier content to the endurance communities with tremendous success. Our passion is endurance sports. Our goal is to show a path that has not been illuminated. Our training principles work.